These four girls will represent The Philadelphia School at the Penn Relays in the Charter/Independent School middle school 4 x 100 meters. 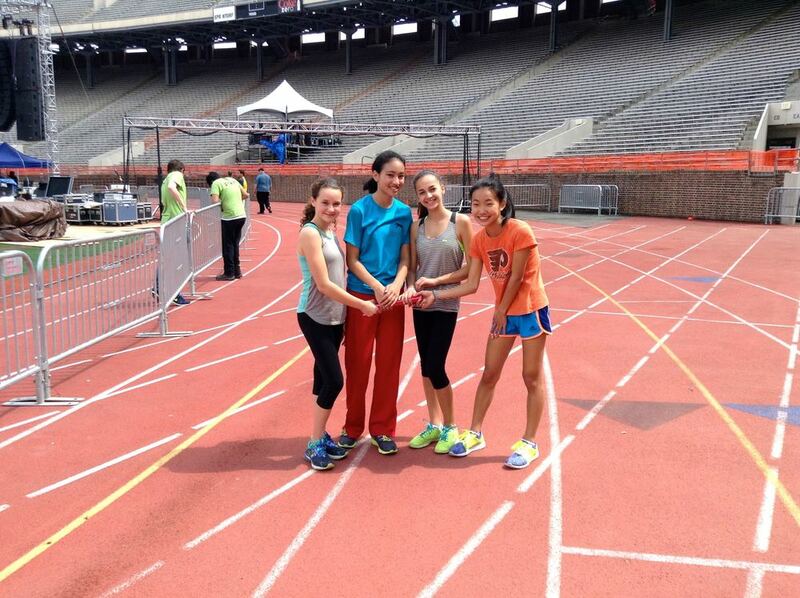 In the photo from L-R are Lyla Forman '16, Sydney Rogers '15, Sydney Bendesky '16, and Jillian Yum '16. They will be competing against about eight other Philadelphia-area schools in the 119th running of the Penn Relays. They race at 10:38 on Friday morning, April 24. Since 2010, TPS has been sending teams to Penn Relays. It's a big honor for the girls, the track and field team, and the school. Team coaches are Meg Waldron, Virginia Friedman, Becca Auritt and Amy Tirapelle.